Adding a bay window gives your room a cheerful feel while making it appear larger. The window makes your room brighter without increasing your electric bill. 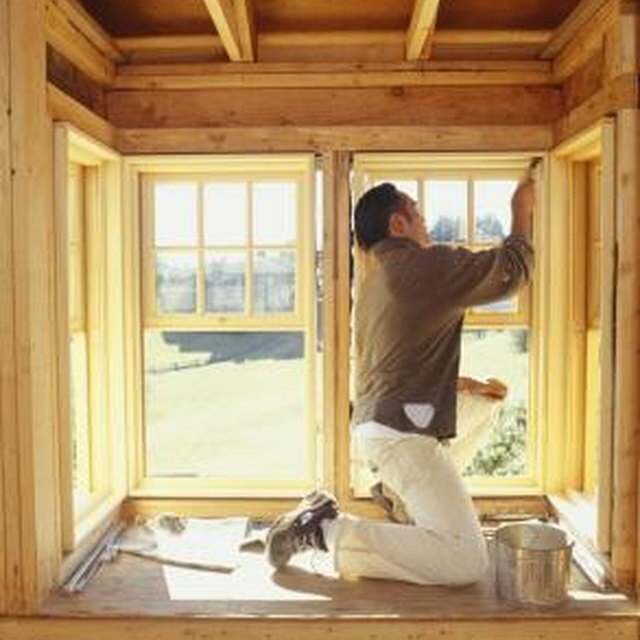 Follow these tips and the manufacturer's instructions to increase your home's resale value without having to pay a bundle to have your new bay window installed. Read the manufacturer's instructions thoroughly and follow all of the guidelines for installation. Failure to follow the instructions can void the warranty. Select the spot to install the bay window. Using the measurements of the new window draw an outline on the outside of the house to ensure accurate cuts. Cut the opening for the new window using a circular saw. Install support frames. It is very important to have a stable, level surface for the window's frame to rest on. Enlist an assistant to help you lift the window into the opening. Insert shims to help the window stay level. Insert screws to secure the window while making sure that the window stays level. Attach the roof frame and nail it securely. Put insulation in between the roof and the top of the bay window. Attach roof sheeting, roofing paper and then shingles on the roof of the window. Fill insulation around the bottom and sides of the window. Attach a skirt bottom to seal the window underneath. Seal the edges with an outdoor grade silicone caulking.